Online credit card orders are handled by PayPal. It's fast, easy and secure! Music has been a part of my life ever since I can remember. Growing up in an Italian family in New Haven, Connecticut, I was surrounded by the velvet sounds of Frank Sinatra, Dean Martin, and, of course, every New Year by the legendary Guy Lombardo. The first instrument I got my hands on was what every Italian kid from an Italian neighborhood was supposed to play - the accordion. Not from lack of trying, the accordion decided it was not for me. My musical "home" eventually became the harmonica - perfect for playing as I was "riding the rails" as a train conductor for Metro-North commuter railroad in 1971, at the ripe old age of 19. For seven years I played in various blues bands throughout Connecticut, refining my instrument and trade. In 1978, I decided to take up the "white whale" of all harmonicas - the chromatic harmonica. 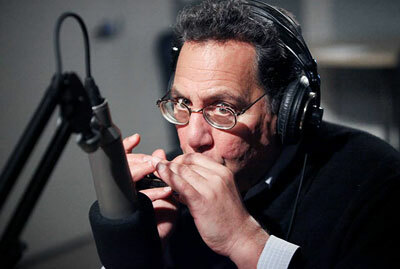 Regular blues harmonicas are designed for a single key, while the chromatic harmonica uses a sliding key scale, requiring constant adjustment of not only breath, but hand and finger movements, to ensure a pure musical note. The instrument has the same range as the flute and can be applied to many different forms - from classical to contemporary and jazz. It really is Bach to blues to bossa nova for me. I studied with the world-renowned classical harmonica virtuoso Robert Bonfiglio at the Turtle Bay Music School in New York City. Around this time, my musical interests began to branch out of blues and I discovered the incredible sound of the jazz harmonica, listening to the jazz harmonica master Toots Thielemans. Like most blues harmonica players, I taught myself by listening to thousands of hours of music from the masters such as Big Walter Horton, Sonny Terry, Little Walter, Paul Butterfield, James Montgomery, Jerry Murad of the Harmonicats fame, Larry Adler and, of course, Stevie Wonder. In 1980, I was awarded a scholarship to Turtle Bay Music School following my performance of the Bach Sonata No. III in E flat for flute and piano. 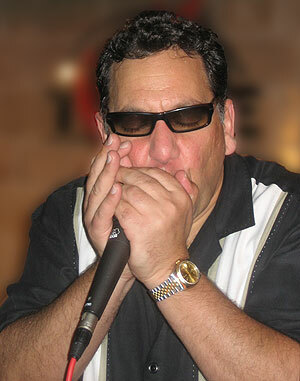 In 1984, I began jazz harmonica studies with guitar jazz great, Tony Lombardozzi. In New Jersey I studied with Hendrik Meurkens, one of the world's premiere jazz harmonica players I attended Robert Bonfiglio's music seminar at his upstate New York residence. I have studied advanced music theory with legendary guitarist Joe Tinari, and worked with him on adapting several Bach inventions for guitar and chromatic harmonica. I have released two albums of my own and made numerous European tours with international trumpet sensation Laco Deczi and his band. For several years I have been studying and performing with Donn Trenner, the legendary jazz pianist. His experience as an arranger, accompanist and music director has proved invaluable to me. Playing with him as a duo is a blast. Today, I am comfortable with all ranges of music from classical to jazz to blues. 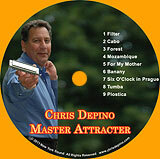 I am an avid sight reader and session player. I am a member of the Greater New Haven Federation of Musicians, Local 234. 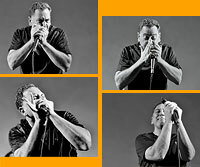 Recently, I have begun teaching music for blues and chromatic harmonica.